Added on February 15, 2014 by John Fahy. Thus the midday halt of Charnock–more’s the pity! Having spent three months living in Kolkata (and during several trips since), I have explored the markets, the ghats and the alleyways. Each market like an organ, the alleyways like veins and between them flowing everything Kolkata needs to survive; vegetables, rice and rickshaws, if my experience is anything to go by. In this post I want to step outside of the bowels of the city and take a look at another corner of the city. Often called the 'Lungs of Kolkata', the Maidan is a huge park located near the Victoria Memorial building. While this may not be Central Park (the dogs in New York have more clothes than some of the people here), it is a hub of recreation, a reprise from the relentless soundscape of the city, and has been a culturally and historically important space for Kolkatans for centuries. 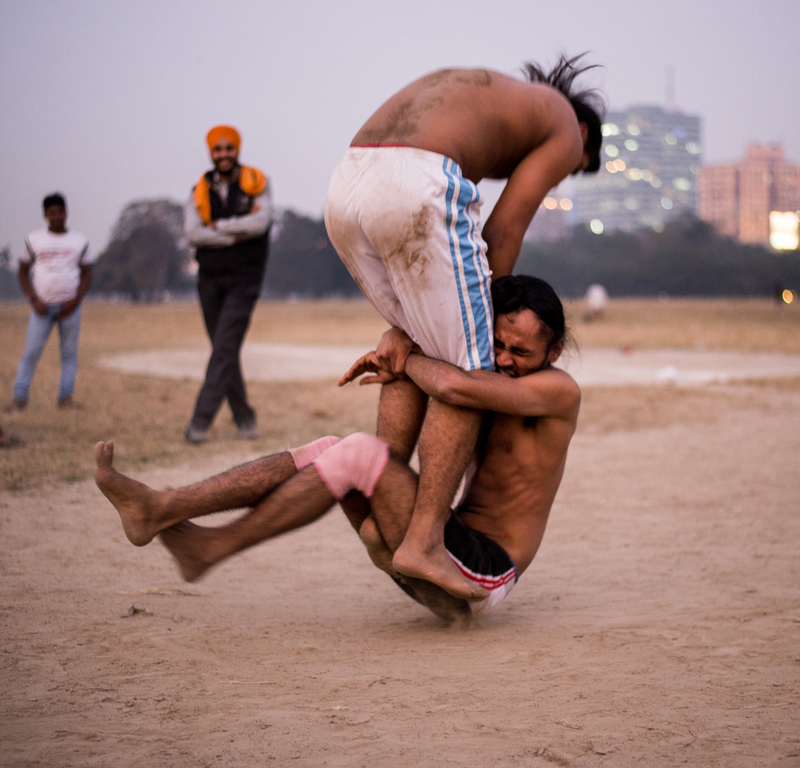 Kabaddi is a style of team wrestling popular in South Asia, particularly in Bangladesh, Punjab and other parts of India. These locals were training for an upcoming competition.